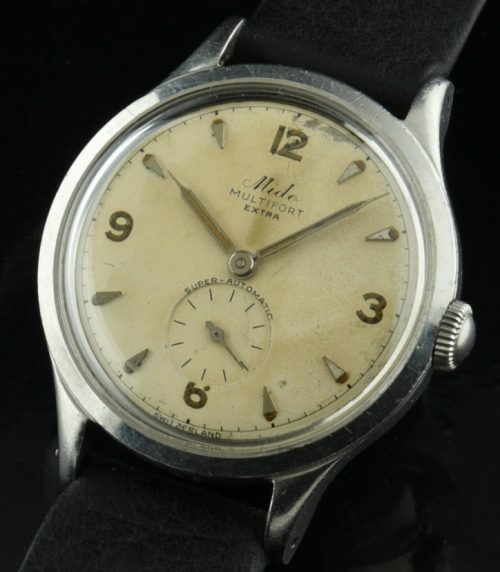 This is a late 40’s-early 50’s Mido Multifort Extra Super Automatic from the 1950’s measuring 34mm. in steel with curled lugs and an all-dial appearance. The raised steel and puffy lume “Rolex Explorer” confuguration dial has beautifully aged. The sub-seconds register adds interest. The pencil style hands retain their original lume. There is a dot (likely from welding splatter) on the side of the case. 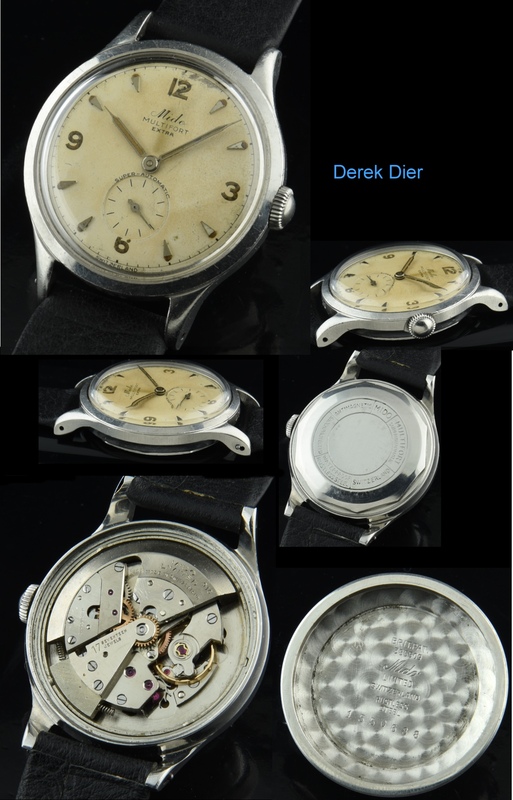 I could have removed it, but I love to keep the history of a watch’s “battles”. This dial really does look amazing in person.